. The brand was created in the year 1966 when an agreement was concluded between the Italian car manufacturer Fiat on the one hand and the Russian government on the other. The agreement was to build a car factory together. That was how it happened, after which the largest car factory in Europe at that time could be found in the town of Toljatti, located on the Volga. An important milestone for the brand was found in 2014. At that time Renault-Nissan became the majority shareholder of AvtoVAZ. Immediately afterwards, it was decided to take the old models out of production. Several other models of course came in place. These are the Largus and Granta. 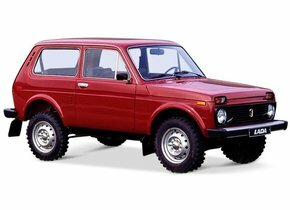 Are you the proud owner of a Lada, but has the windscreen of your car got an asterisk or a big crack while driving? In that case, it is worth discovering the possibilities of windscreen replacement from your Lada at Autoglas Concurrent! Damage caused to your Lada windscreen, particularly by rubble, does not cause the window to splash into countless pieces. Unlike the other the other automotive glass that can be found in a Lada, the windscreen is always made of laminated glass. This is therefore a car window that consists of several glass layers in between which a PVB film can be found. The special thing about this type of plastic film is that it has an adhesive effect on both sides. Is there any damage to the windscreen? This PVB film then ensures that the various glass shards are still well kept together. Because it concerns laminated glass, a windscreen replacement of the Lada sometimes involves a sturdy cost tag. But fortunately it can also be different. A new Lada windscreen has the reputation of always being very expensive, but that is usually because it is an original windscreen with a brand logo. Such windscreens can and should only be sold by authorised brand dealers, which ensures a significant price. However, there is an alternative that is equally qualitative, but you can count on much lower costs. This is the so-called after-market windscreen. 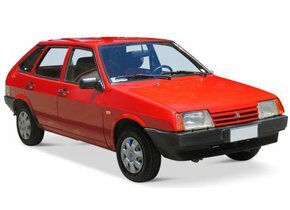 A windscreen replacement of a Lada with an after-market model is therefore an affordable solution for many more people. The after-market car windows offered by Autoglas Competition are also manufactured to the most stringent European quality standards, so you can always count on excellent reliability. 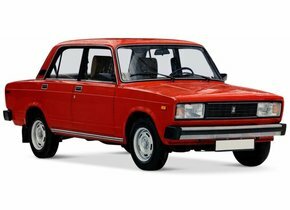 Is the windscreen replacement of a Lada always mandatory in case of damage? Our competitors sometimes indicate that if there is a crack or asterisk in the windscreen, it is always mandatory to have it repaired immediately. That is not true. The location of the window damage is crucial in this respect. A crack or asterisk in the driver's field of vision is a problem for visibility and therefore also for safety. In that case, windscreen replacement of your Lada is a requirement if, for example, you do not want your car to be rejected for the APK. Is a single crack or a star located in one of the corners of the windscreen? In that case, it does not have to be fixed mandatory. Please note, this does not detract from the fact that the windscreen replacement of your Lada is always the most interesting in this situation. I am sure you will be well advised to read that a windscreen replacement of the Lada is not always as unaffordable as many people suspect. 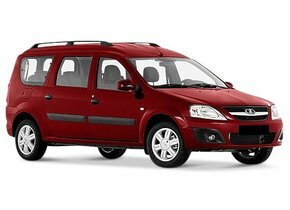 Having the ability to purchase a new Lada windscreen at a limited cost is of course very interesting, but the damaged automotive glass also needs to be replaced. Because we want to be absolutely sure that our customers are assured of the best possible quality in this area too, we choose to outsource this assignment to our FOCWA-certified partners. These specialists are of course perfectly able to replace your Lada windscreen in the most efficient way. It may be obvious, are you confronted with an asterisk or a big crack in your windscreen and would you like to have a windscreen replacement for your Lada outsource to the most interesting party? Do not search any further and call upon Autoglas Concurrent for this!